Calling all bona fide vegetarians and vegans! 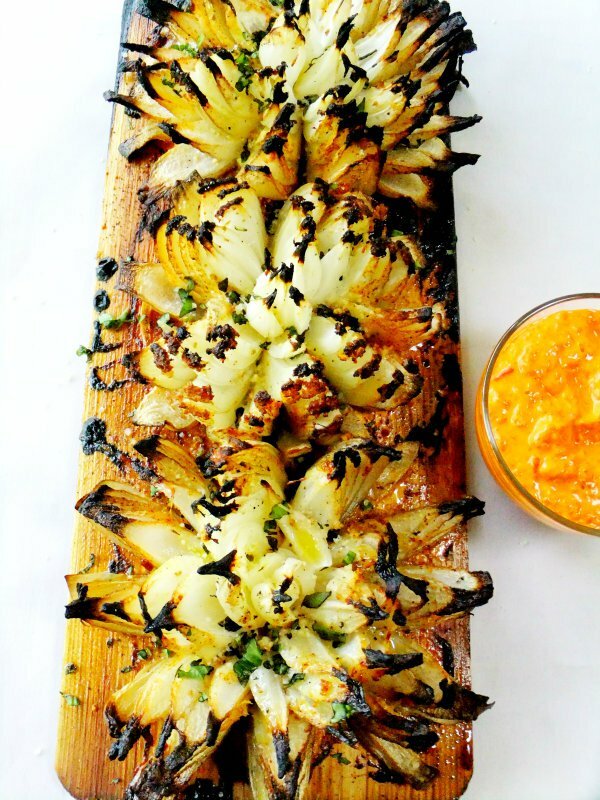 Looking to beef up your outdoor BBQ food menu without the meat? You’re in luck, because we have plenty of healthy, summery recipes for you to whip up. That’s right, the barbecue is absolutely not solely reserved for grilling up juicy burgers and smoked chicken breasts. From fresh veggies to tofu and veggie burgers, these BBQ ideas will make you want to heat up the grill and have people over, pronto. In fact, these recipes are so appealing, they could distract a meat-lover like me from cheeseburger FOMO. 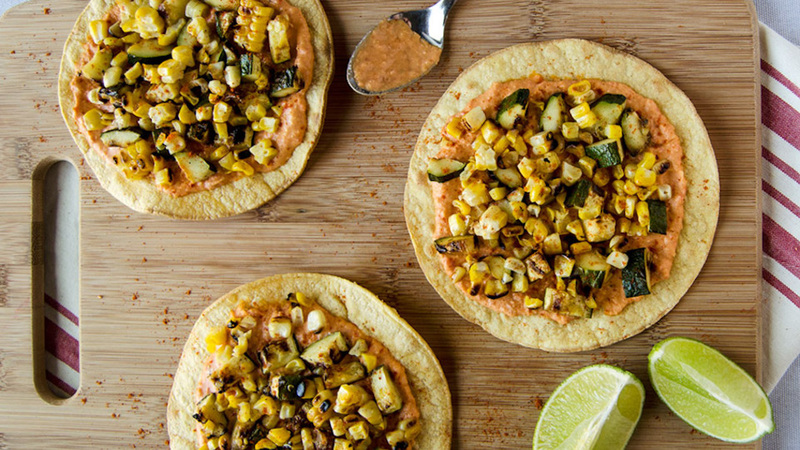 (Seriously, just wait until you see the grilled cauliflower tacos…). So, what are you waiting for? Grab a bag of coals and some lighter fluid, queue up your summer-vibes Spotify playlist to get the party going, and let’s get grillin’. 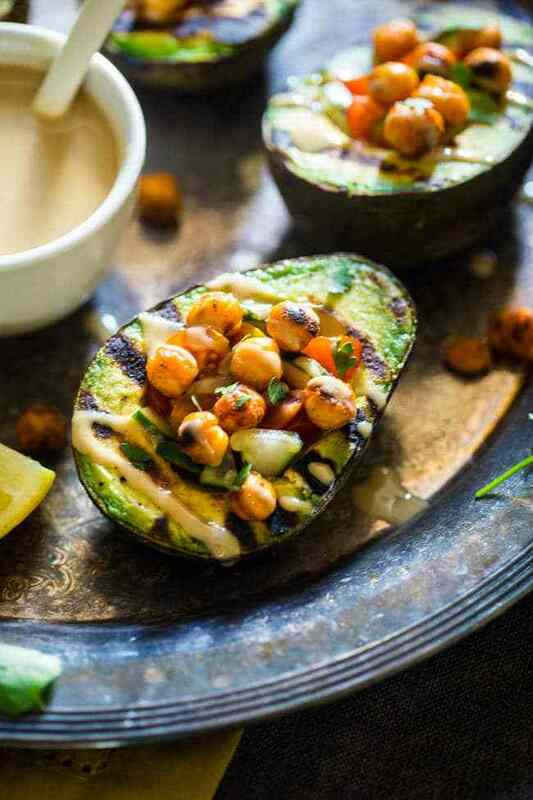 This one's pure Mediterranean heaven: grilled avocados stuffed with chickpeas and drizzled with tahini. 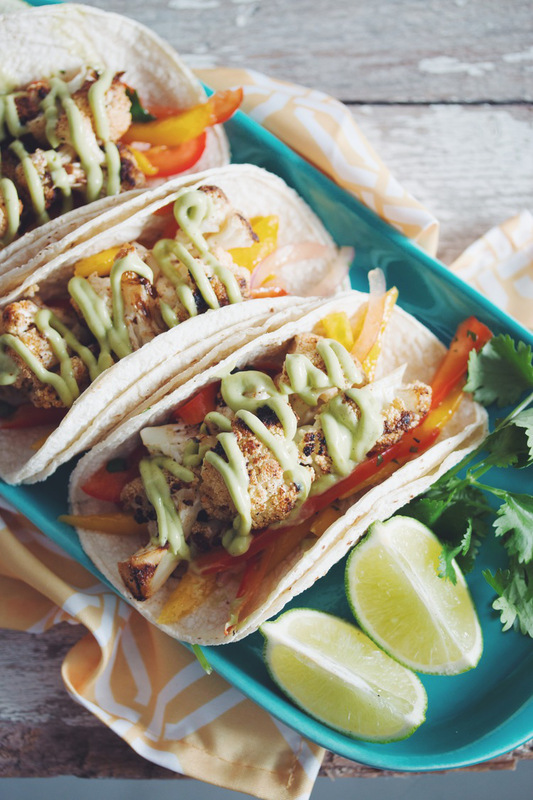 Grilled cauliflower tacos with mango slaw drizzled with avocado crema… Are you drooling too? 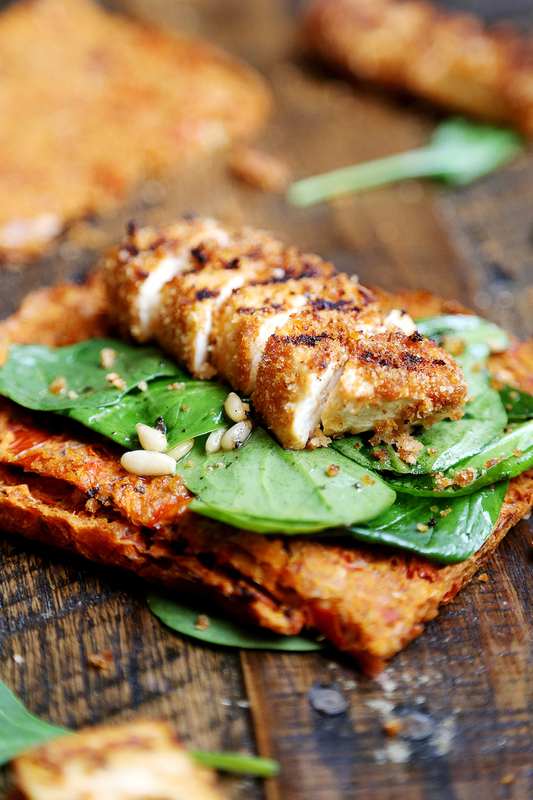 With or without the spinach salad, your guests won't be able to tell the difference between these grilled breaded tofu steaks and grilled breaded chicken. 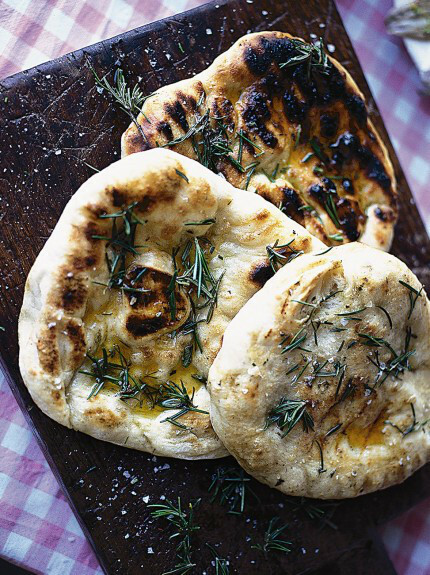 Be sure to serve these grilled flatbreads drizzled with olive oil and sprinkled with rosemary leaves the second they come off the barbecue. 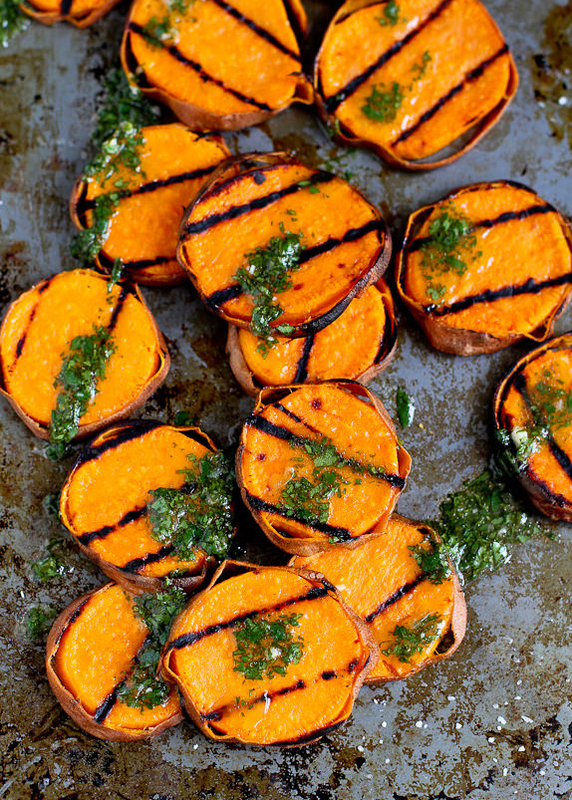 These grilled sweet potatoes topped with a cilantro vinaigrette will quickly become one of your summer BBQ staples. 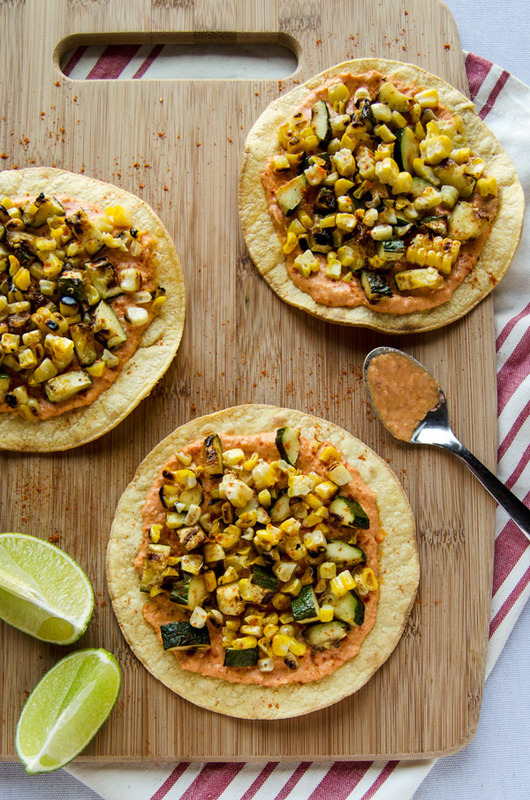 You can never go wrong with grilled corn, grill zucchini and a hummus spread. 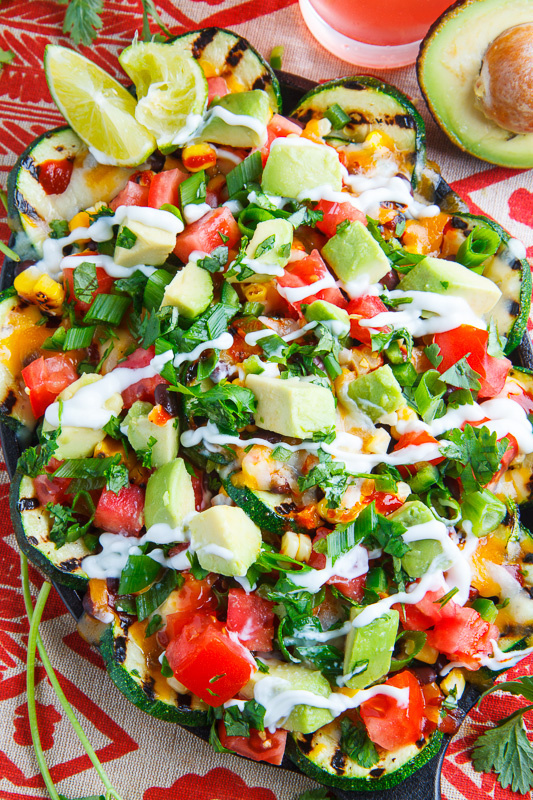 If you thought a heaping meatless mound of nachos wasn't worth it, Closet Cooking will prove you wrong with its grilled zucchini nachos recipe. 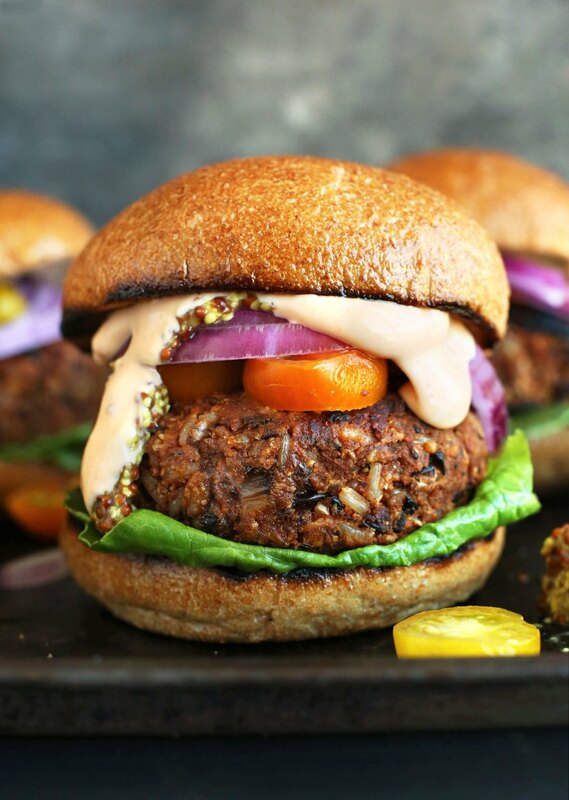 It's true: You can grill these veggie burgers. Curious what's inside? We'll tell you: walnuts and spices, sautéed onions, panko bread crumbs, brown rice, BBQ sauce and black beans. 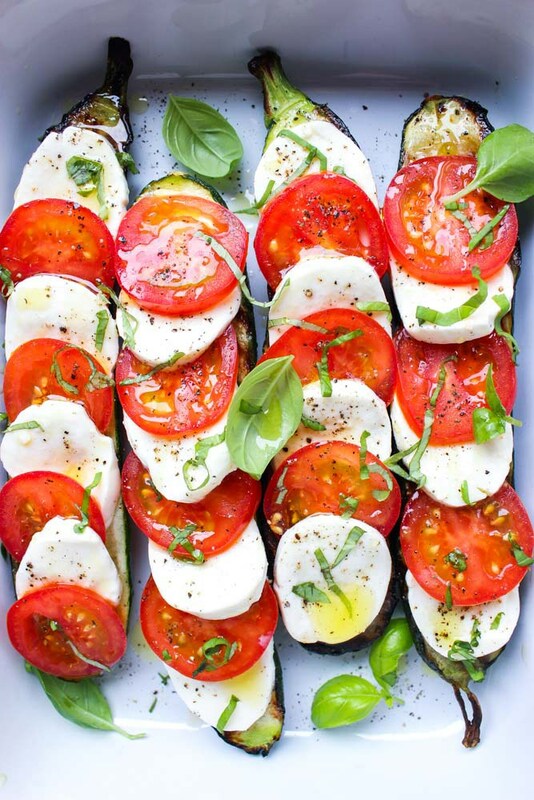 A grilled caprese salad with zucchinis? Count us in. 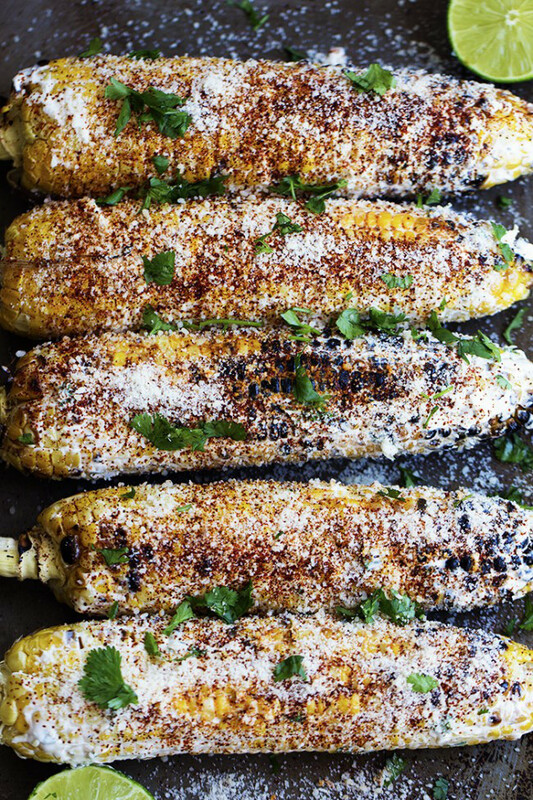 This grilled Mexican street corn is slathered in a mayonnaise and sour cream-cilantro mixture and then dusted with Parmesan cheese and chili powder. Oh, my god. 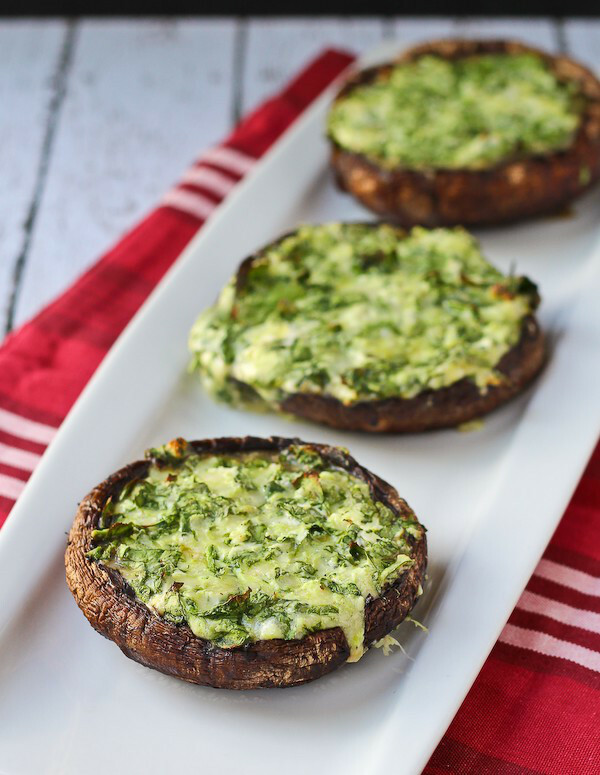 Who needs chicken breasts when you can grill portobello mushrooms and stuff 'em with spinach and cheese? 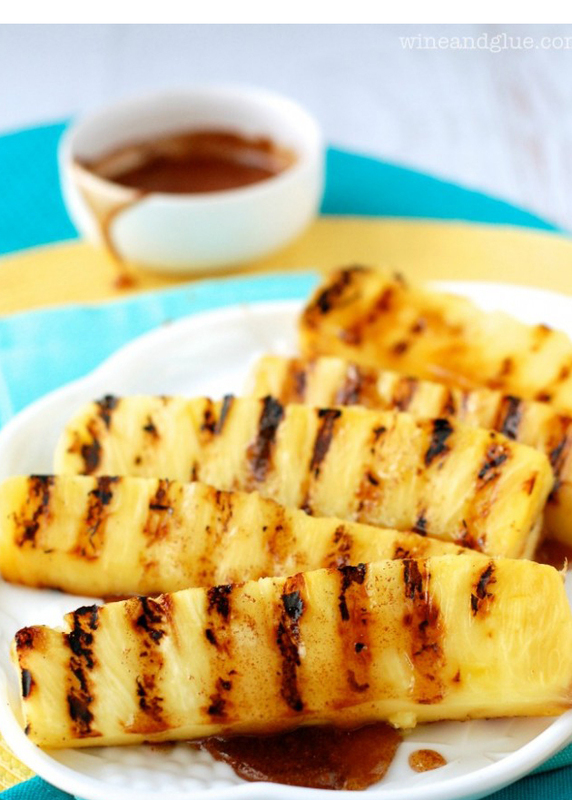 It's the cinnamon-honey drizzle that really elevates this grilled pineapple recipe. 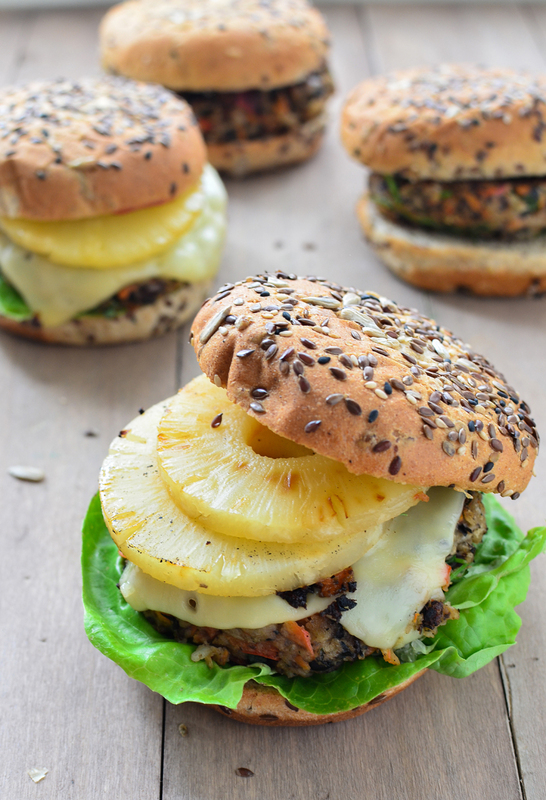 Bound to be a hit with your guests are these Hawaiian veggie burgers: tropical black bean patties topped with grilled pineapple and Swiss cheese. 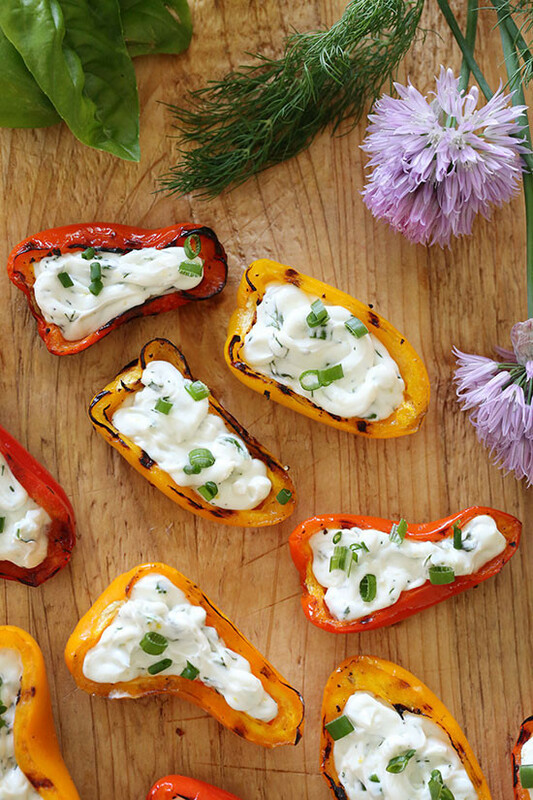 These grilled rainbow peppers stuffed with herb cream cheese look almost too pretty to eat… OK, not really. We'd still eat them. 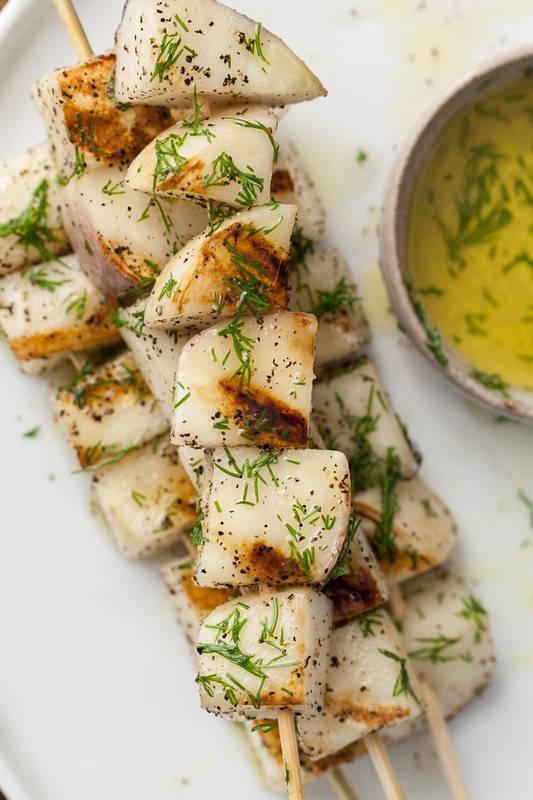 Grilled turnips with dill olive oil? We'll take four skewers, please and thank you. 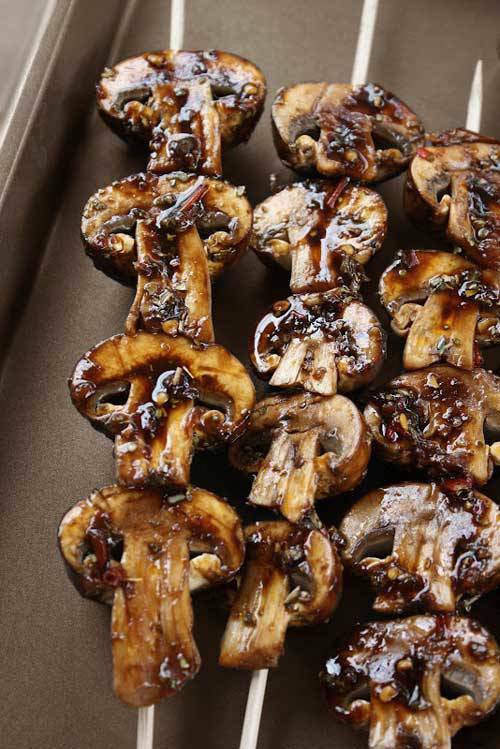 The cayenne pepper, garlic and balsamic vinegar take these grilled mushroom skewers to a whole other level. 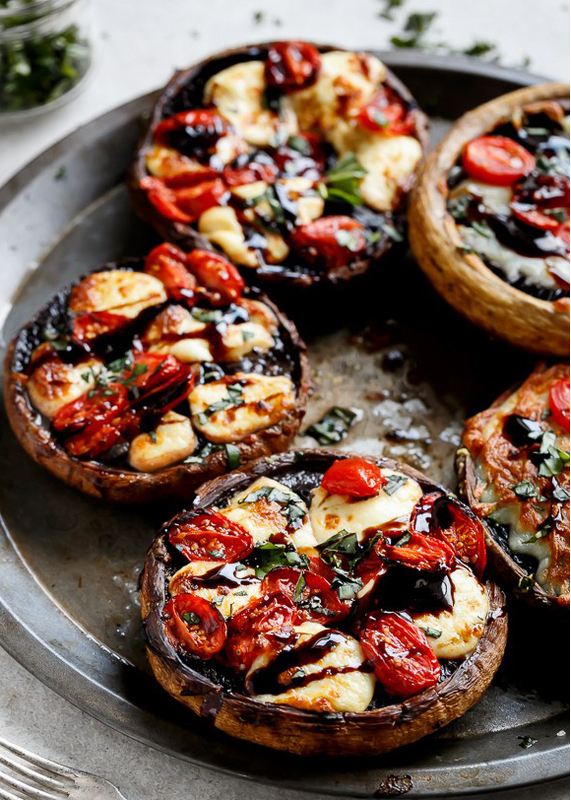 We can't describe it better than Cafe Delites: "Garlic butter smothered portobello mushrooms stuffed and grilled with fresh mozzarella cheese, grape tomato slices, and drizzled with a rich balsamic glaze!" 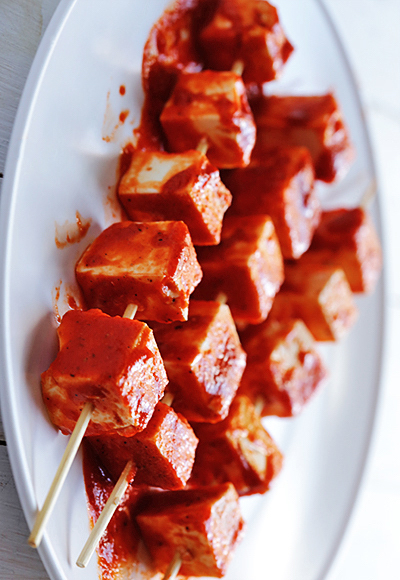 Sriracha makes everything taste better, including grilled tofu. Behold: a healthier version of the famous Bloomin' Onion at Outback. It's served with a red pepper aioli sauce for dipping too. 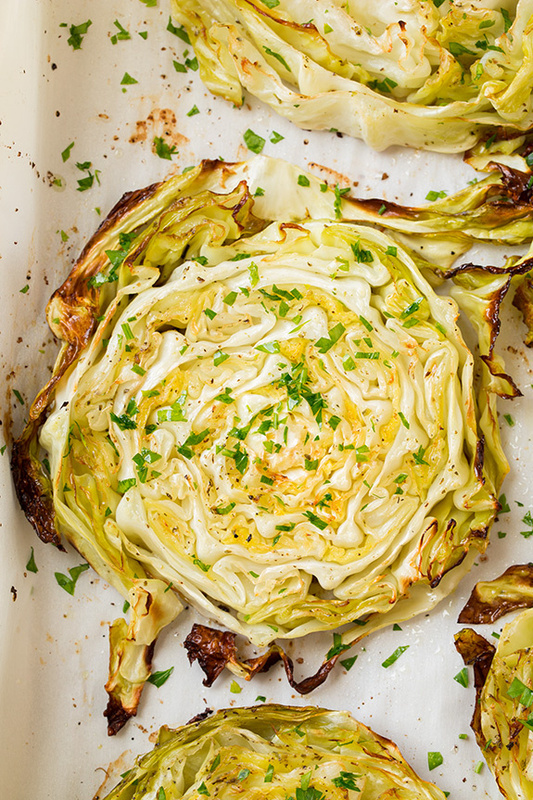 If you're a cabbage stan, then try out these garlic-roasted cabbage wedges topped with fresh parsley, fresh lemon wedges and/or crumbled bacon. 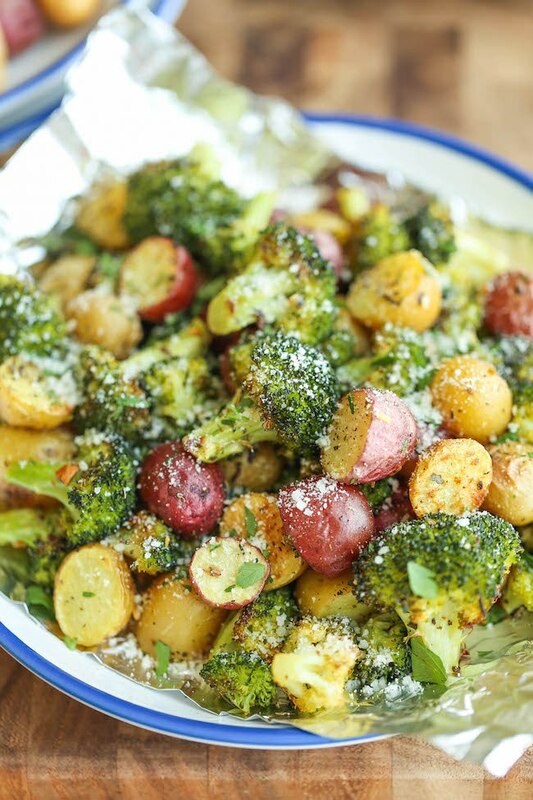 Garlic, Parmesan, potatoes and broccoli: a perfect combination. 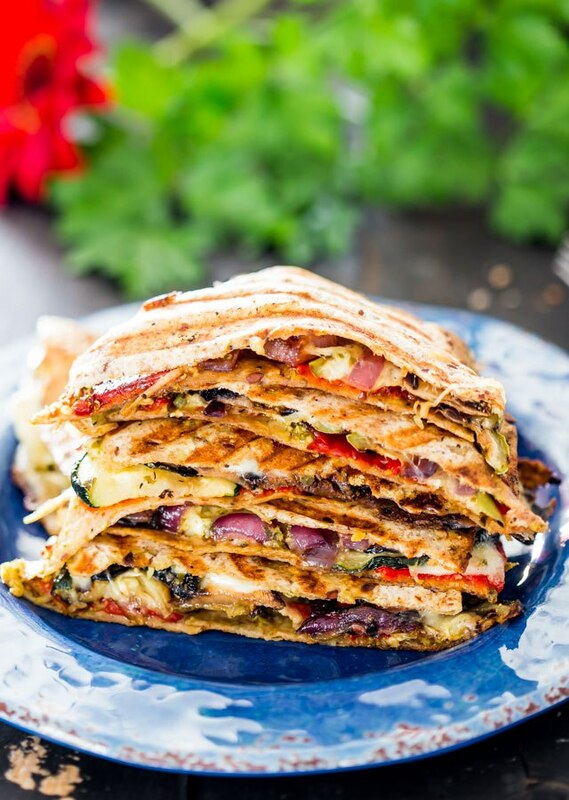 Who doesn't love quesadillas? Throw in some grilled veggies, and you have a healthy crowd-pleaser. 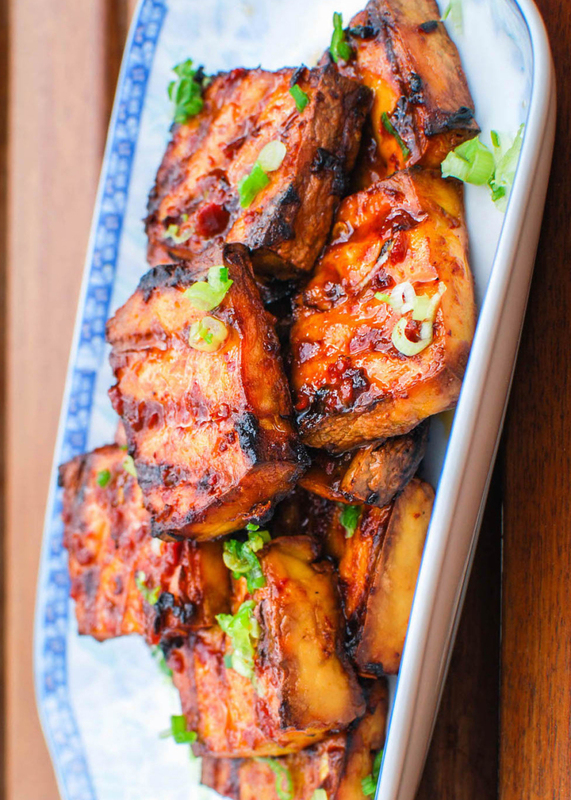 If you love tofu, then try this grilled tofu dish made and served with chipotle-miso sauce and garnished with scallions. 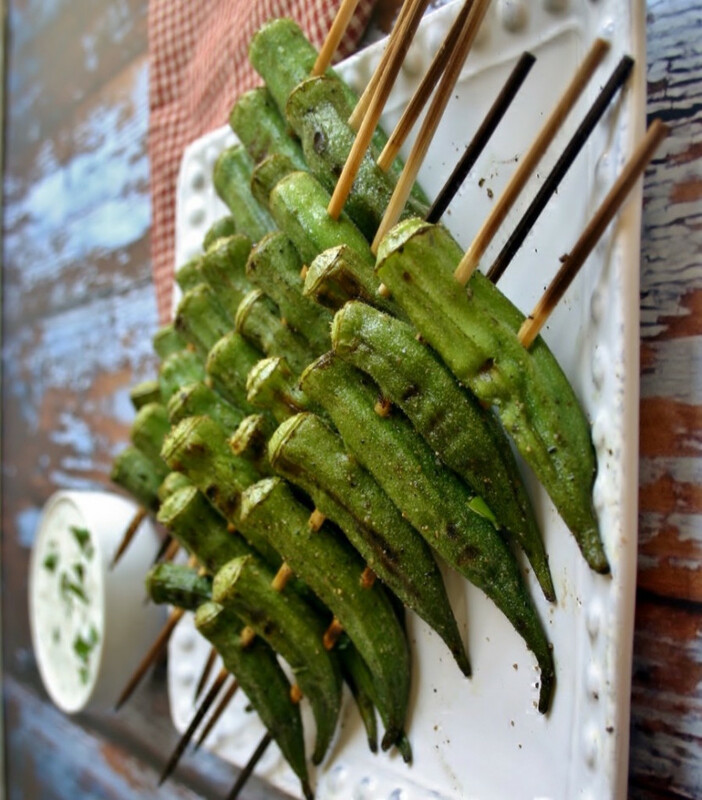 And, finally, grilled okra: What's a BBQ without okra? This recipe's extra delicious thanks to the lemon-basil dipping sauce.